 Global Catalog Management System Market to reach USD 1.52 billion by 2025. Global Catalog Management System Market valued approximately USD 775 million in 2016 is forecasted to grow with a healthy growth rate of more than 7.74% over the forecast period 2018-2025. The major factors speculated to augment the markets are enhanced IT systems to meet customers’ dynamic requirements and digital transformation initiatives leading to the boom of retail & eCommerce industry vertical. Major growth is evident in the industry verticals of the market including Banking, Financial Services, and Insurance (BFSI), Retail & eCommerce, and IT & Telecom. Catalog management software organizes and consolidates e-commerce product data into a single, digital point of reference (i.e. catalog) for both buyer and merchant. The software maintains and stores product information for any e-commerce business. The Global Catalog Management System Market is divided into the segments Component, Deployment, and Vertical. The Component segment is subdivided into solutions and services, wherein the solution segment is speculated to dominate the market according to size. In other segments, the vertical segment BFSI, retail & eCommerce and IT & Telecom are adopting catalog management system at an escalating rate. The regional analysis of Global Catalog Management System Market is considered for the key regions such as Asia Pacific, North America, Europe, Latin America and Rest of the World. North America is the leading region across the world in terms of market share. Whereas, owing to countries such as China, India, and Japan, Asia Pacific region is also expected to exhibit higher growth rate / CAGR over the forecast period 2018-2025. The industry is seeming to be fairly competitive. Some of the leading market players include CA Technologies, SAP, IBM, Oracle, Vinculum, Coupa Software, SunTec, ServiceNow, Salsify, Proactis, Sigma Systems, Fujitsu, GEP, Comarch, Plytix, Zycus, Insite Software, Vroozi, Mirakl, Ericsson, and so on. The fierce competitiveness has made these players spend in product developments to improve the customer’s requirements.